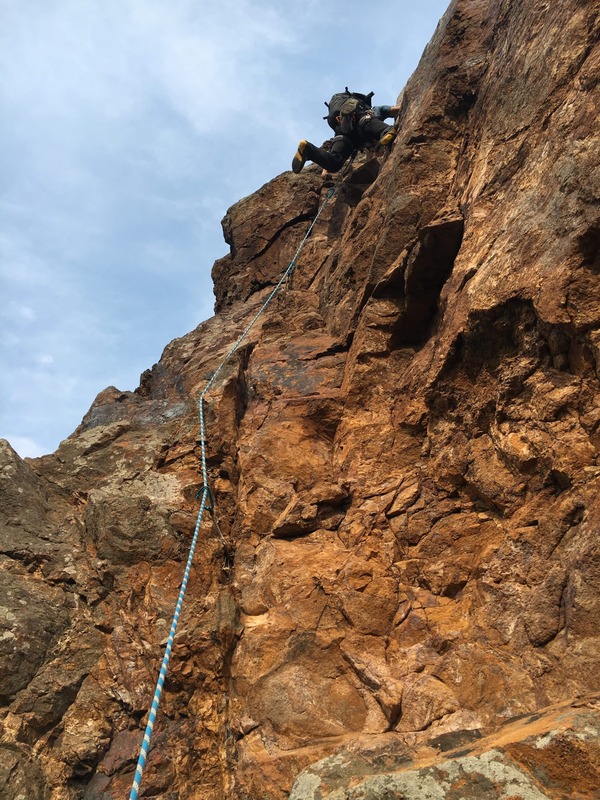 Learn and develop your alpine / trad climbing skills in Akaiwa, Hokkaido with an experienced local IFMGA mountain guide, Takao. 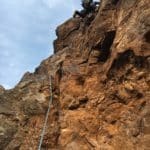 AKAIWA ONE DAY ROCK CLIMBING TOUR WITH LOCAL CERTIFIED IFMGA MOUNTAIN GUIDE TAKAO IS THE OPPORTUNITY TO LEARN ALPINE/ TRAD CLIMBINg. 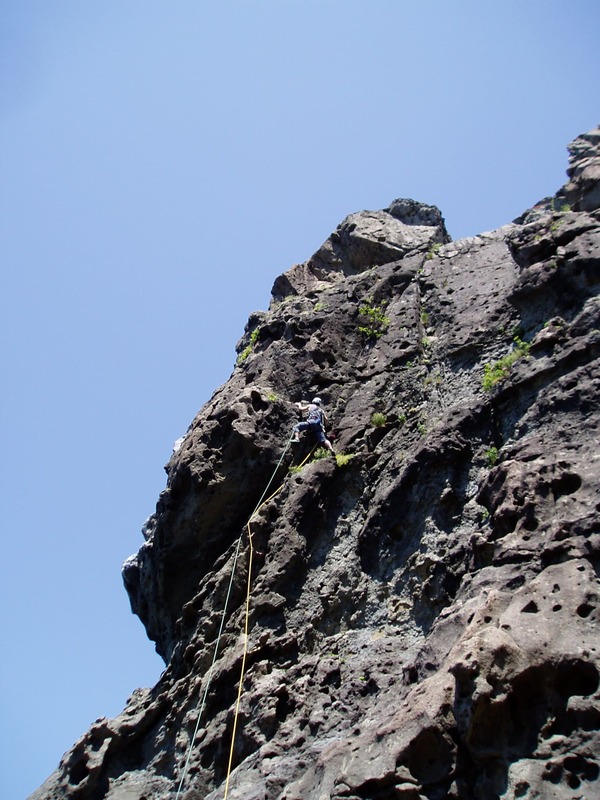 Akaiwa, Otaru, is perfect to learn alpine/ trad climbing. It is just a 40 min drive away from Sapporo. 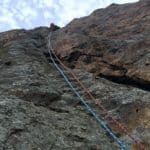 Here at one of Hokkaido’s oldest and largest climbing areas, there are over 200 routes that can be enjoyed by beginners to experts alike – from short routes (20m) to more serious 7 pitch multi-pitch routes! 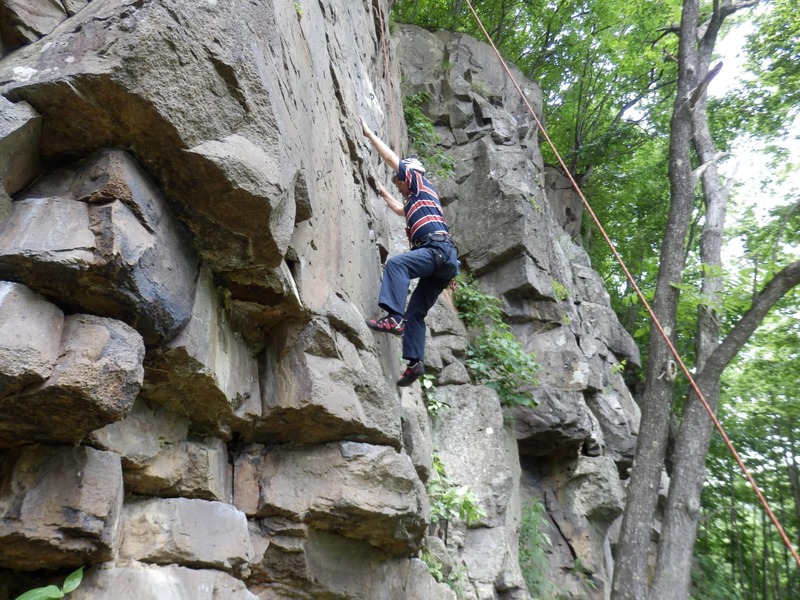 There are also a lot of areas for sport climbing. 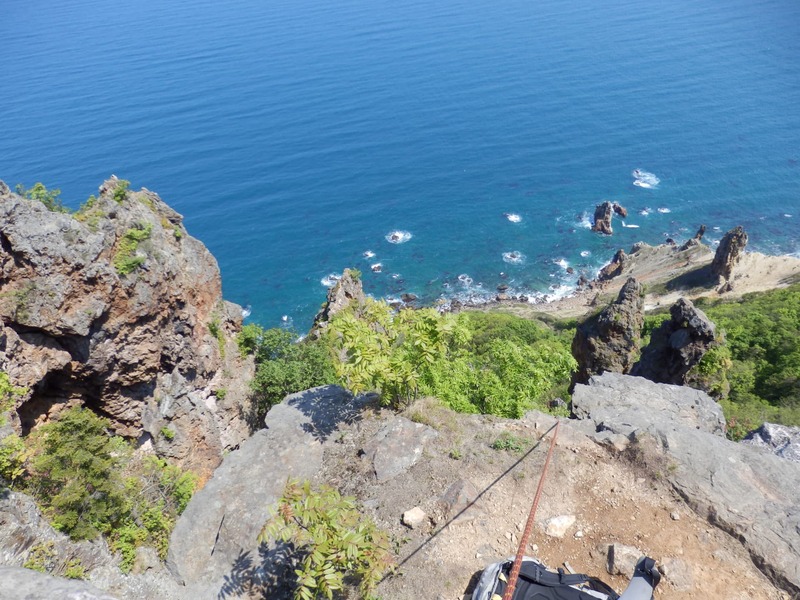 I can assure you that it will be a very exciting one day climbing trip in Akaiwa and you will also have its beautiful ocean seascape at your back whilst climbing! Please contact me! I will be very happy to be your guide! – Kourakuen: Japanese style onsen hotel (half board). JPY 20,000. – Musashitei: Japanese style onsen hotel (half board). JPY 20,000. 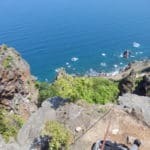 From Sapporo at 8:00 am, we will drive up to Akaiwa, Otaru area (40mins) and enjoy climbing all day. Back to Sapporo at 5:00 pm. Sapporo station or your hotel in Sapporo at 8:00 am. Please let me know of your preference. Asahikawa (Mt. Ishigaki or Nishi Iwasa), Touya Lake, Yoshitsune Rock, Ofuyu. These are all free climbing areas between 5.9 to 10b level. Reservation opens 6 months prior to the trip date. Please reserve well in advance -– Booking request under 1 month is usually not possible. In case of bad weather / conditions (including road conditions), the trip itinerary may be altered and/or date change can be discussed. Riding on the guide’s car is considered as ride sharing and thus will only covered under normal car insurance. The guide’s responsibility and liability is only applicable from the departure from the start of the approach path until our return to the same point. 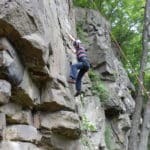 Please make sure all participants are individual insured appropriately with international travel insurance which specifically covers rock climbing. For any injuries in the mountains, the guide will not be liable and will need to be paid by your own means. with our schedules. The climbing itself was amazing and challenging. Beautiful scenery and the walk in to the waterfalls were interesting. the Japanese who are polite, organized, professional and have some of the best food in the world 🙂 Takao-san was very friendly, gentle, patient and genuine. We enjoyed his company throughout. Of course, we slowly learned that he is one of the most experienced mountaineers and guides around in Japan. In any case, we always felt safe with him. He also spoke well enough in English such that we could have simple conversations and understood the instructions. We would recommend him to others should they need a guide 🙂 Sounkyo is interesting. The two waterfalls are beautiful and it’s a privilege to be able to climb them. It seems we are there a bit early so the town was really quiet. Kin Shi waterfall was also great, first pitch was spectacular. It’s our first time in Hokkaido, we are surprised how cold it is. It seems there must be endless reliable ice climbing routes here and the season is much longer than the alps. When we were in Champagny en Vanoise in end Jan last season, we were climbing on really thin ice. Routes are manageable, not too difficult. The first 30m pitch of Kin Shi was probably my favorite. Takao said that there are routes by the sea. That would be really interesting to try out when we next come back to Hokkaido. If there is a downside, I’m not sure the value compares well to the alps. When we were in Champagny, the cost was about 350 euro a day for a local guide incl. all equipment rentals. 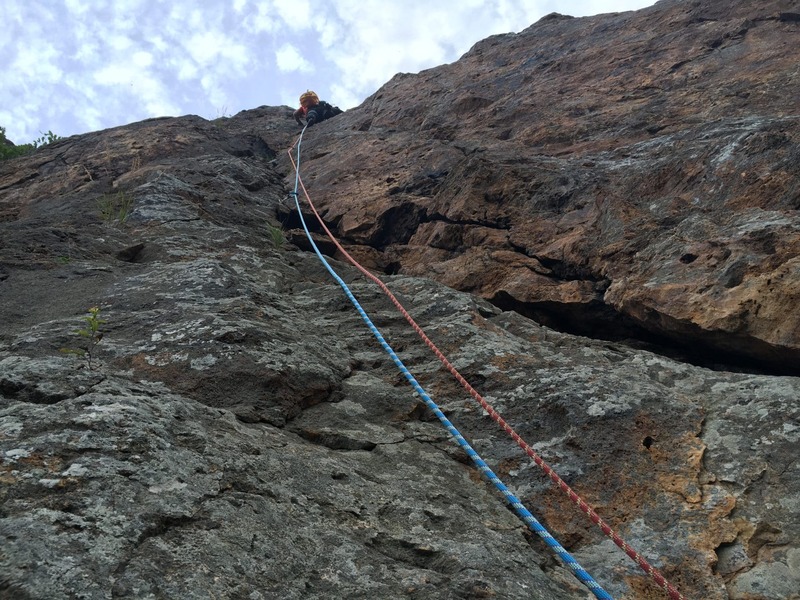 We climbed routes that were 7-8 pitches long that took 4-5 hours. With Takao, the first day Ginga we did single pitch practices (it was a bone freezing -20 to -25 so just as well we didn’t do the multi pitch), the second day Kin Shi was a 4 pitch climb we finished around 1230 back at the car park. I understand that the cost may be due to the limited number of guides, high cost in Japan, and transportation, but if the tour was about 20 percent cheaper that could be more attractive. I think it’s a great job what Explore & Share is doing to develop the Japanese climbing scene and open the opportunities for foreign climbers like myself. Overall I’m optimistic that there is much potential and I look forward to coming back.